Monday night, from 7 to 10pm, during the Far Out West Texas Blues Show that he helped create, will be a tribute to former DJ, Mark Pollock, who passed away on Friday. Mark Thomas Pollock played with Freddy King, James Cotton, and Lowell Fulson. 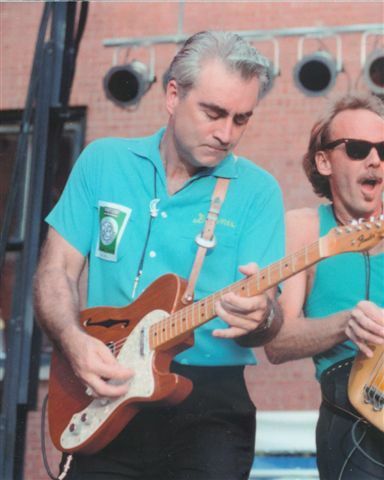 He ran the Dallas Guitar Show and played lead and rhythm guitar on the Texas blues circuit. 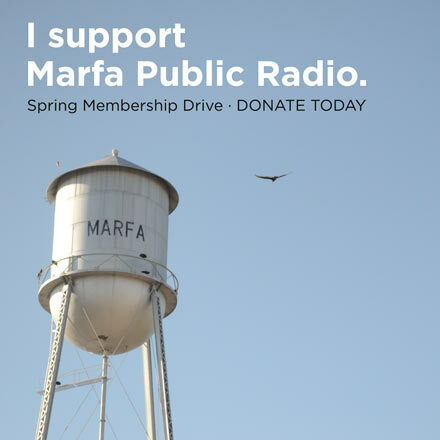 He owned Charlie’s Guitars in Dallas and later TransPecos Guitars in Alpine – where he repaired and sold guitars, and hosted the Monday night blues show on Marfa Public Radio. Mark died on Friday, November 13, from respiratory failure after a battle with cancer. He was 64. His friends remember him as quick with a joke and a story about the Texas blues world. On the radio, he’d tell tales about a young Stevie Ray Vaughan, who he knew as Skeeter. 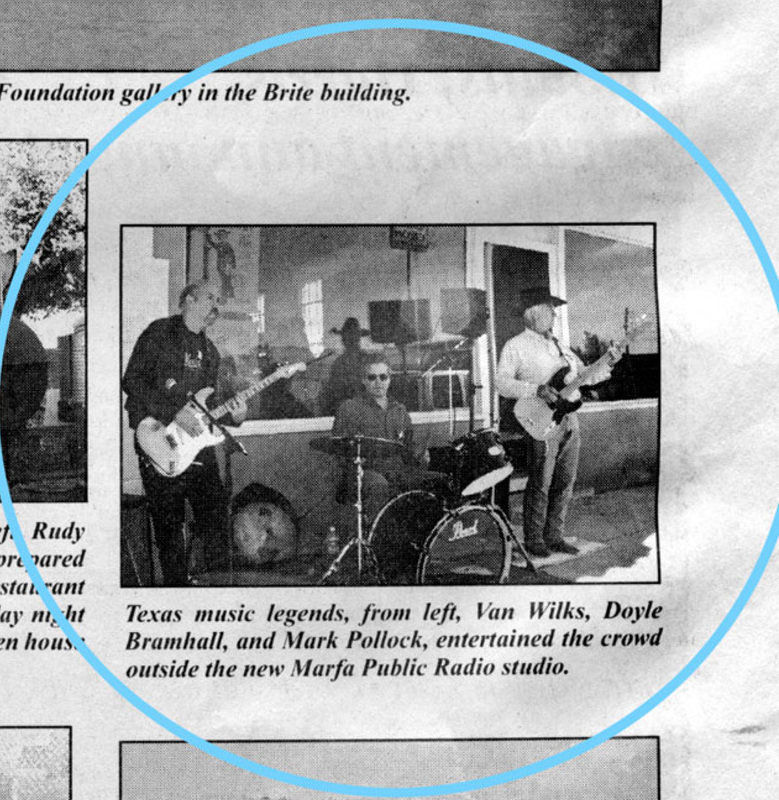 He was a constant promoter of his guitar shop and supporter of the West Texas music scene. He started all his shows with the song “Drive In,” by one of his bands – Cold Blue Steel. Mark passed away about 4 years to the day that his good friend and neighbor, Texas blues legend Doyle Bramhall, died. 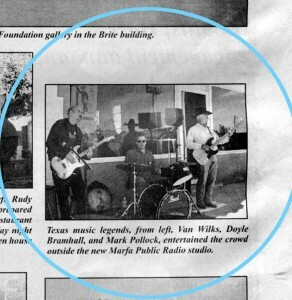 In 2005, Mark Pollock – along with Van Wilks and Doyle Bramhall – played the first live show in front of what would later become Marfa Public Radio. Among other family members, he’s survived by his wife Mary in Alpine.